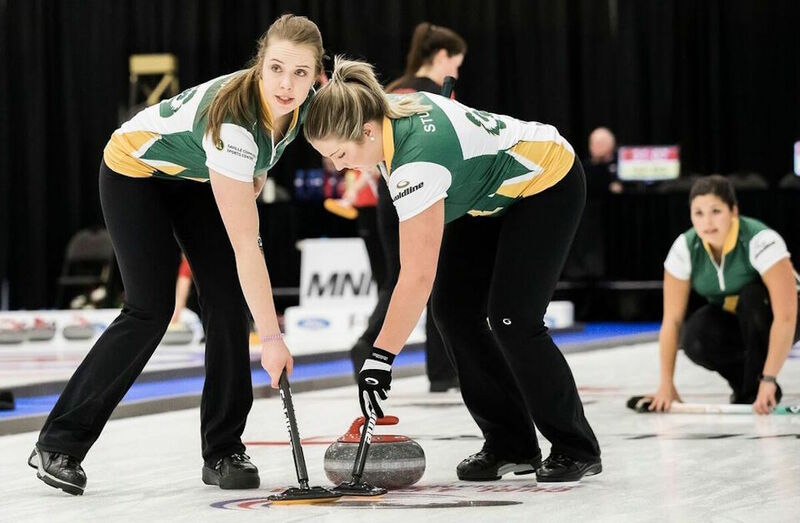 The University of Alberta Golden Bears and Pandas both went a perfect 2-0 to open their tournaments, leading both the men and women’s standings after the first day of the 2018 U SPORTS / Curling Canada Curling Championships at the Leduc Recreation Centre. After earning wins against both Dalhousie (5-3) and Ryerson (11-3), the Bears are the only undefeated team left after two draws on the men’s side. The Pandas, who knocked off Memorial (7-6) and Thompson Rivers (10-5), are joined by the Brock Badgers as the only two teams on the women’s side with perfect records after day one. 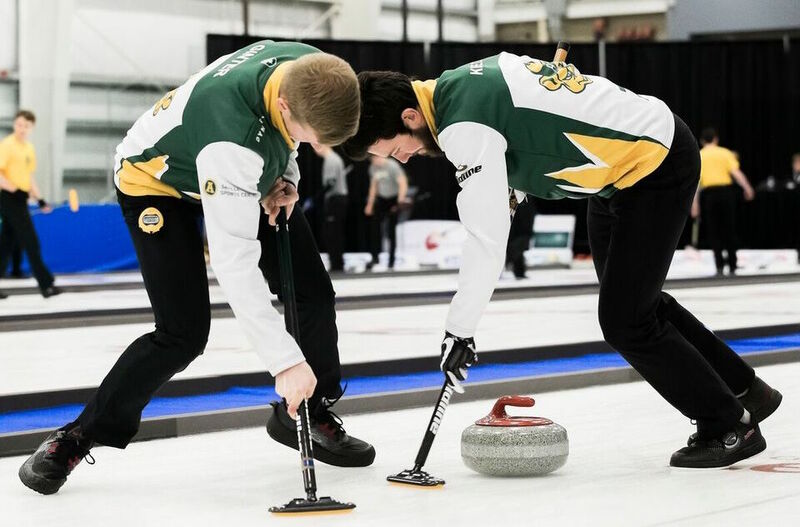 Following the Bears in the men’s standings comes a log-jam of teams sitting at 1-1, including Dalhousie, UNB, Brock, Winnipeg, Waterloo, and Ryerson. The Regina Cougars are the only team still looking for a win, losing to both Ryerson and Dalhousie. 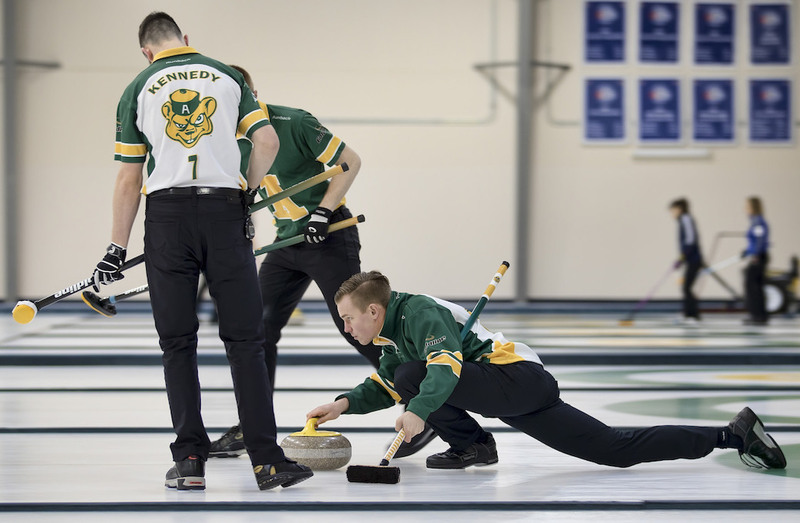 The experienced Bears opened with a narrow win over Dalhousie in the tournament opener, before cruising past Ryerson in eight ends in a battle of undefeated teams in Draw 2. The Pandas, who are looking for their third U SPORTS Championship in four years, began their tournament with a back-and-forth win over Memorial, before stealing four in the 10th end against Thompson Rivers in Draw 2 to earn the 10-5 win. Brock, meanwhile, put together an incredibly strong opening day as well, defeating Mount Allison 14-5 in Draw 1, before handing Regina their second loss with a 7-4 decision in Draw 2. The women’s side is also full of teams who finished their first day with 1-1 records, as Memorial, Mount Allison, Wilfrid Laurier, and Thompson Rivers sit in a tie for third place after two draws. Similar to the men, the Regina Cougars are winless on the women’s side, along with the Queen’s Gaels, who both have 0-2 records. 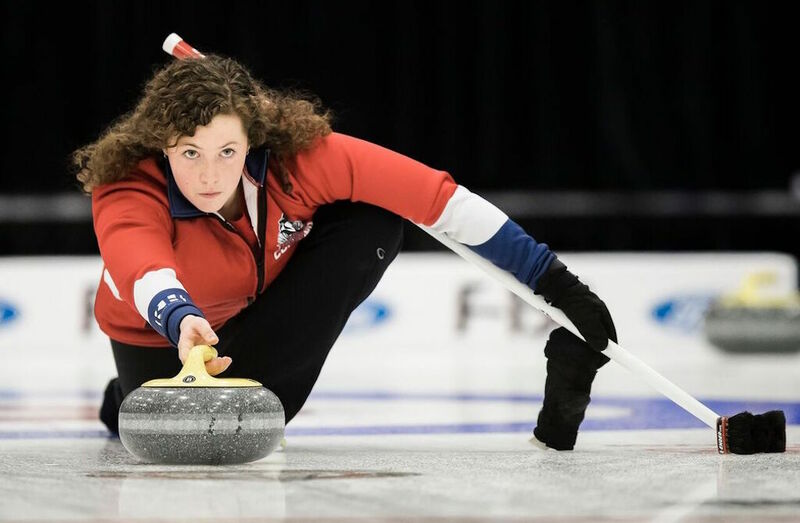 Day 2 of the 2018 U SPORTS / Curling Canada Curling Championships gets underway at 3:00 p.m. ET / 12 p.m. PT on Sunday at the Leduc Recreation Centre, with all eight teams on both sides of the draw back in action.